The Kunsthaus Zürich presents Oskar Kokoschka – Expressionist, migrant and pacifist – in the first retrospective of his work in Switzerland for 30 years. The highlight among the more than 200 exhibits is the monumental ‘Prometheus Triptych’, which has never before been seen in Switzerland. Oskar Kokoschka (1886–1980) is, along with Francis Picabia and Pablo Picasso, one of a generation of artists who retained their allegiance to figurative painting after the Second World War, even as abstract art was consolidating its predominance. It is also thanks to them that non-representational painting and figurative art can now be practised side by side without partisan feuding. Artists of the present day value the gestural articulation of his brushwork, praise his open-minded, cosmopolitan attitudes or share the pacifism that, especially after the traumatic experiences of the First World War, runs like a thread through Kokoschka’s work, life and legacy. Following his last major solo show in 1986, the Kunsthaus now sets out to acquaint a new generation of visitors with this artist, who died by Lake Geneva in 1980 and whose works are held in substantial numbers in both Vevey and Zurich. The retrospective traces the motifs and motivations of a painter who felt at home in no fewer than five countries. Curator Cathérine Hug has brought together 100 paintings and an equal number of works on paper, photographs and letters from all phases of his career. They reveal that while Kokoschka’s art was defamed as ‘degenerate’ by the Nazis, the artist himself came through the ordeal relatively unscathed, making a living executing commissions for celebrated figures in the worlds of literature, architecture and politics. In exile he becomes an indomitable champion of freedom, democracy and human rights; a humanist whose work is broad enough to encompass everything from landscapes and portraits to mythological figures and metaphors denouncing the horrors of war and defending the power of love and the beauty of nature. It is this independent-minded artistic language of political protest that makes Kokoschka unique. 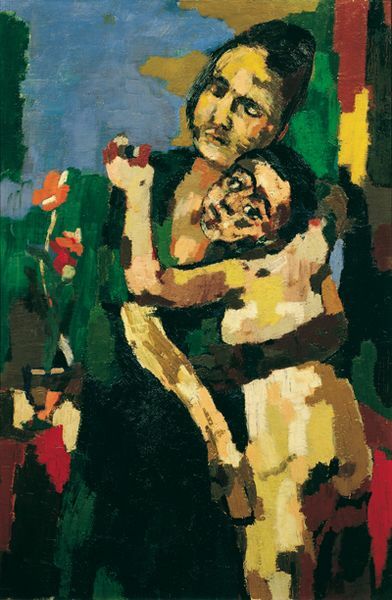 and ‘Thermopylae’ (1954, University of Hamburg) – are the high point of Kokoschka’s mature oeuvre, and of this retrospective. The two works have only been shown together once before, at the Tate in 1962. 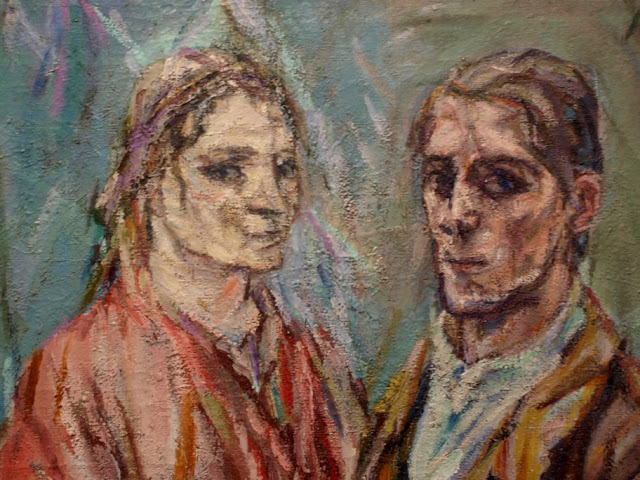 They were created during a transitional phase: after a decade of wartime exile Kokoschka moved in 1953 to Villeneuve in Switzerland, where he lived until his death in 1980. The imposing ‘Prometheus’ triptych – originally a ceiling decoration for an aristocratic client in London – has not been shown outside the British Isles since 1953, when it travelled to the Venice Biennale. Like the ‘Thermopylae’ triptych the depiction of Prometheus, originator of human civilization, enjoins human beings to come together as brothers and sisters in peace and freedom. Aside from their content, these works also document the creative process that set Kokoschka apart from his contemporaries. The brushwork and colour progressions reveal the artist’s movements – a performative production process unusual in figurative painting. Kokoschka, the Expressionist who remained faithful to figurativism and founded a ‘School of Seeing’ that endures to this day in Salzburg, was regarded by many at the time as anti-modern; in fact he fought for democratic access to education and an open society. A catalogue in English and German (320 pages, 300 colour illustrations) published by Kehrer Verlag, Heidelberg, is available from the Kunsthaus shop and bookstores: ‘Oskar Kokoschka. 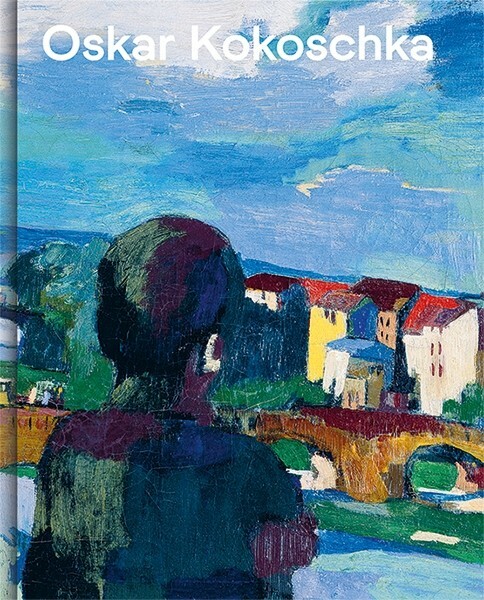 Expressionist, Migrant, European’ with new essays by Régine Bonnefoit, Iris Bruderer-Oswald, Martina Ciardelli, Birgit Dalbajewa, Heike Eipeldauer, Katharina Erling, Cathérine Hug, Aglaja Kempf, Alexandra Matzner, Raimund Meyer, Bernadette Reinhold, Heinz Spielmann and Patrick Werkner.